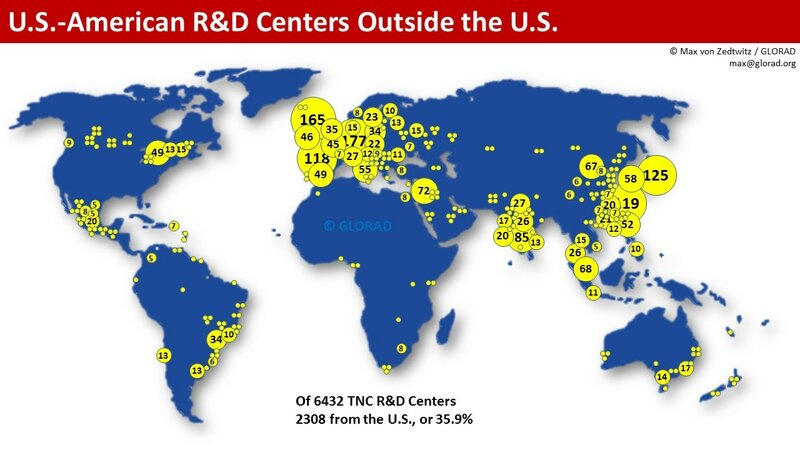 GLORAD is the Center for Global R&D and Innovation with offices in St. Gallen (CH), Kaunas (CEE), Heilbronn (DE), Moscow, (RU), Shanghai (CN), Silicon Valley (USA), and Sao Paulo (LATAM). Find the Monthly Digest here. Subscribe to it here. Dan Prud'homme on IP regimes in China in JWB. Mark Greeven et al on China innovation in SMR. Oliver Gassmann et al on Effectuation in Strat Entrep J.
Oliver Gassmann et al on Open innovation in J TransMed. Oliver Gassmann et al on customer orientation at the FFE of innovation in R&D Mgt. Dan Prud'homme and Max v Zedtwitz on China innovation in MIT Sloan Mgt Review. Daria Podmetina and Monika Petraite on Open Innovation in Management Decision. Dan Prud'homme and colleagues on Forced Technology Transfer in TFSC. Managing Global Innovation still gets more than 10,000 downloads per year! Max v Zedtwitz on China R&D in RTM: Reprint of 2007 paper and 2018 commentary. O Gassmann et al: Business model innovation processes in large corporations. J Biz Res. Iris Quan and co-author C.H. Wang on R&D alliances in the biotech industry in STS. A Zhu, M v Zedtwitz, and D Assimakopoulos on Responsible Product Innovation with a novel focus on product safety. Monika Petraite on Creativity and Imagination.